Paul is the Managing Partner of our Gibraltar office having joined the firm in the summer of 2015 after 35 successful years in Personal and Corporate Banking with Barclays PLC, predominantly in London. Paul holds an HNC Diploma in Business Studies and he is an Associate Member of the Chartered Institute of Bankers. Paul’s understanding of the lending market, having worked as a lending analyst for many years and forming part of the Bank’s internal Audit Team, together with his extensive knowledge of the SME market, allows him to bring that experience to help clients grow their businesses by improving their performance and efficiency through a fresh viewpoint and objectivity supported by strong analytical and people skills. The move to Gibraltar in 2006 saw Paul establish a Corporate, Intermediary and Private Client team that quickly became one of the top performing teams in Barclays Wealth and Investment Management which was acknowledged externally in 2012 when his team won two of the prestigious Euromoney Magazine Banking Awards. Paul brings a wealth of commercial experience together with a deep knowledge of the workings of the lending sector to benefit clients of the firm. Dipak is the Manager of the Gibraltar office and has over 40 years of experience with small and medium sized businesses. Dipak has previously worked in the London Office of Simmons Gainsford LLP before he moved to Gibraltar to take up his current post. Dipak has a wealth of knowledge and experience of, not only Gibraltar but also the United Kingdom, the Channel Islands, Ireland, the far east, including Hong Kong. Dipak is able to assist and advise businesses on accounting, tax and audit matters as well as general commercial matters which are important to local business. Through his knowledge and contacts, Dipak is also able to assist with entities wishing to do business in India and Kenya. Martyn was a Partner of the practice for over 25 years with several years of experience in Gibraltar. He is delighted in his new role as a Consultant within the firm, which will enable him to spend more time in the jurisdiction, promoting the practice and assisting the team on the ground. Martyn is a problem solver with extensive experience in retail, professional services and property. He was formerly the compliance partner within the practice and has a good commercial skills. 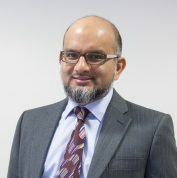 Abdul is a Partner at Simmons Gainsford since 2000. He has significant experience of Real Estate work, transactional, advisory and compliance. He advises on structuring and financial reporting for the property sector and his clients include investors, traders, developers, funds and joint ventures. 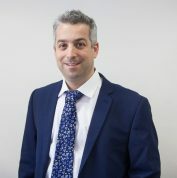 Anthony Rose is a Tax Partner at Simmons Gainsford LLP. 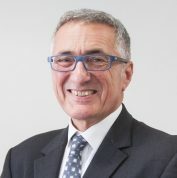 He specialises in dealing with complex HMRC tax disputes including but not limited to those relating to settling historical UK tax avoidance, such as in relation to EBTs (where he has experience in taking matters to litigation), contractor schemes etc., as well as those conducted under Code of Practice 9. He has a considerable amount of experience in matters relating to residence, domicile and offshore and international tax planning generally. He also supports a number of intermediaries including other accountants, lawyers and IFA’s with ad hoc tax support for their clients.